Stieglerhof Apartments price per day from € 68 Located in the heart of the Neusiedlersee-Seewinkel National Park, the Stieglerhof is furnished in charming country-house style. It features a quiet garden with lots of flowers and free Wi-Fi. You can also relax in the sauna, do a workout in the fitness area, and your kids can have fun on the playground..
Das Tulpen Apartment price per day from € 60 Situated in Weiden am See, just 5 km from the Design Outlet Parndorf, Das Tulpen Apartment offers a self-catering accommodation unit with free WiFi. The studio apartment at the Tulpen also comes with a well-equipped kitchen, a flat-screen TV with cable channels and a seating area with a sofa bed. Lindenhof Deutsch Lindenhof Deutsch offers self-catering accommodation with free WiFi access, located in Bad Tatzmannsdorf and features a fruit garden, a vegetable garden and offers to its guests home made products from the owner's farm, such as bread, bacon, cider and different schnapps. 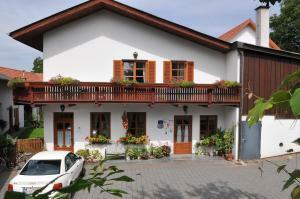 Das Eisenberg price per day from € 83 Offering panoramic views of the surrounding countryside, Das Eisenberg is located in Southern Burgenland’s Raab Valley. Only high-quality products from Burgenland, Styria, Hungary and Slovenia are used. Das Eisenberg also includes a library, a vinotheque, and a terrace. Hotel Schreiner price per day from € 54 Surrounded by the vineyards of the Blaufränkischland wine-growing region in Central Burgenland, Superior Hotel Schreiner is a 3-star superior hotel near the Hungarian border. Guests can enjoy a heated outdoor pool and a spa area with sauna, steam bath, and infrared cabin. Landhotel Kohlstätterhof price per day from € 38 Located 600 metres above sea level in the Austrian-Hungarian nature reserve “Geschriebenstein-Irottkö”, the Kohlstätterhof country hotel invites you to spend a relaxing holiday far away from mass tourism. It is an ideal starting point for hiking and cycling tours..
Hotel Restaurant Müllner price per day from € 54 The family-run Hotel Restaurant Müllner is located in Marz and offers comfortably furnished rooms and a cosy restaurant on site, featuring typical Austrian cuisine and a varied choice of local wines. Guests also have a fitness centre at their disposal. Atriumgarten Michlhof price per day from € 54 Atriumgarten Michlhof enjoys a quiet location a 5-minute walk from the centre of Mörbisch. 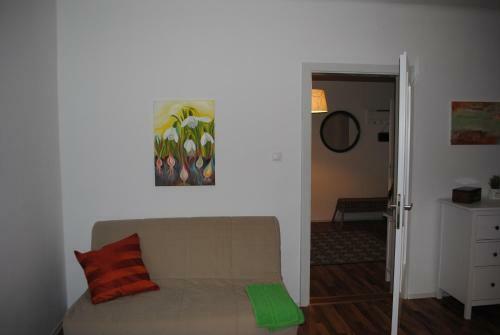 Guests of the Michlhof Atriumgarten can use a washing machine, a dryer, and ironing facilities..